I just prepped one of my favorite easy dinners! We've had soup, soup and more soup the last few weeks. My hubby doesn't like veggies so I love to sneak them in when he's at work! 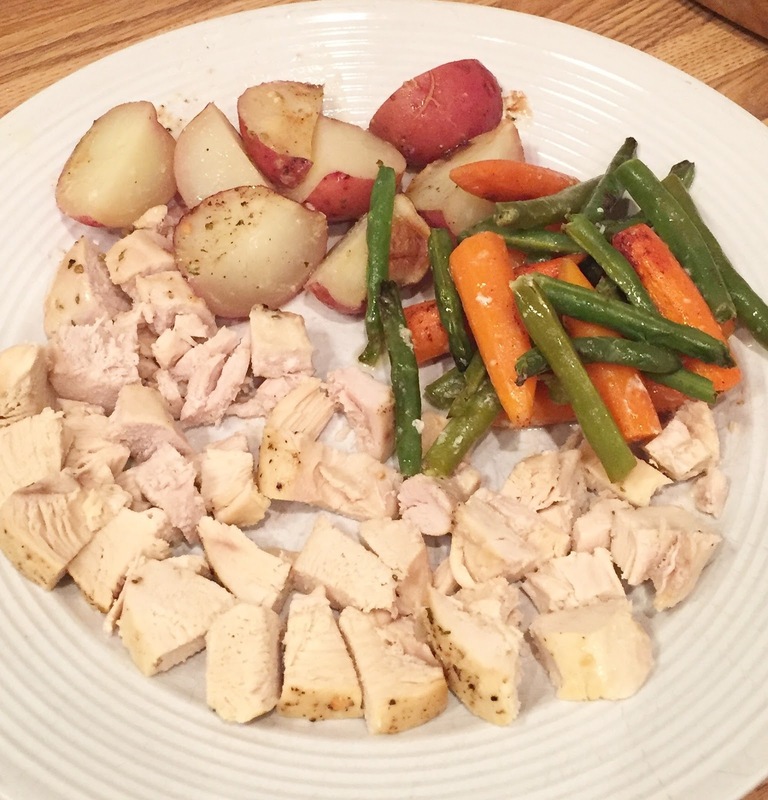 •Season as desired (I like to put a little cinnamon on the carrots and Italian dressing or a dry ranch packet on the chicken and potatoes. •Bake (covered) for an hour at 350. Uncover for just a few minutes towards the end! Yum! It looks delicious and sounds super easy! I'm going to try it this week! Thanks for sharing. That looks really good. We love chicken. Thanks for sharing. I'm going to try it this week! Wow, I am impressed to know about Easy One Dish Dinner! It was pretty interesting and I liked the way how it turned out to be. At local venue New York my husband also hosted romantic dinner for two of us for celebrating our 10th anniversary. Completely enjoyed it!